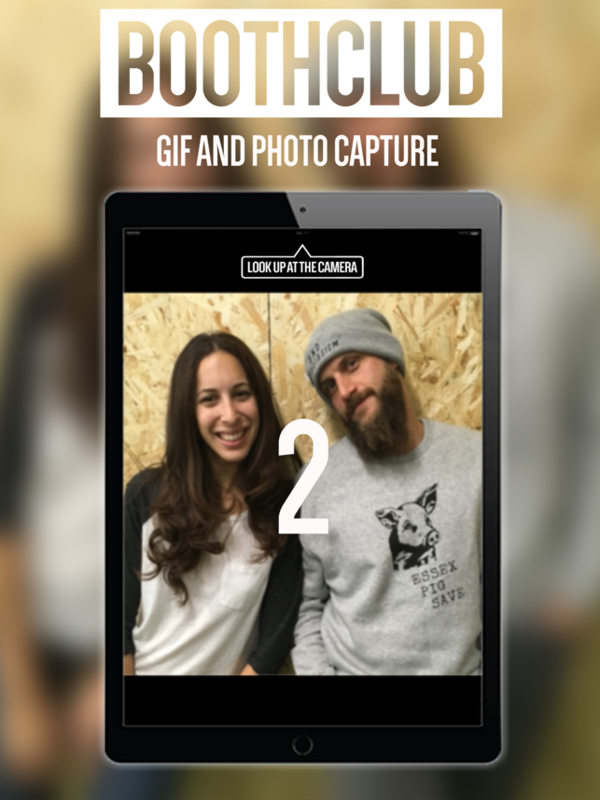 Turn your iPad into a professional interactive photo booth capable of creating personalised photos, boomerangs, gifs and videos. 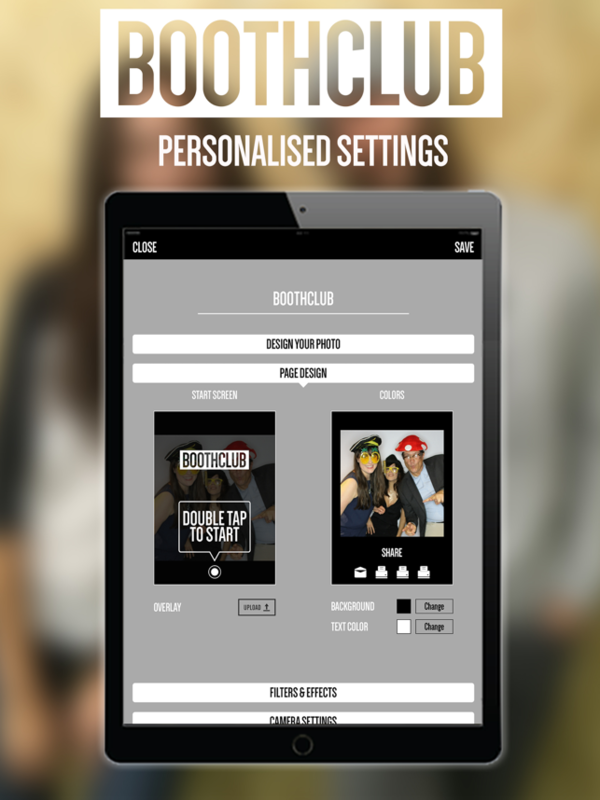 The Booth Club iPad is suitable for retail environments, nationwide tours, brand experiences, corporate shindigs, a country manor for a wedding or at a local pub for a good old knees up. 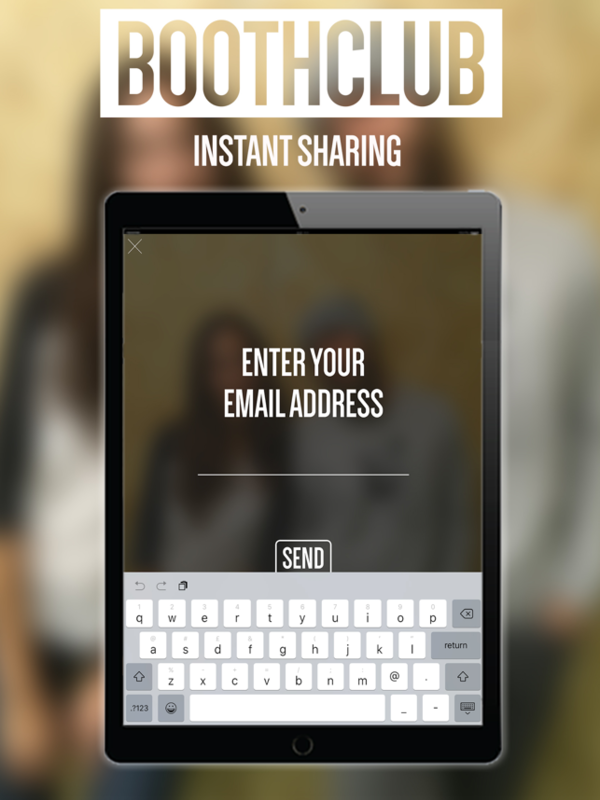 Print to your AirPrint printer or your professional photo printer that's connected to your computer. You can also print to wirelessly to DNP printers using the DNP WPS Pro print server. 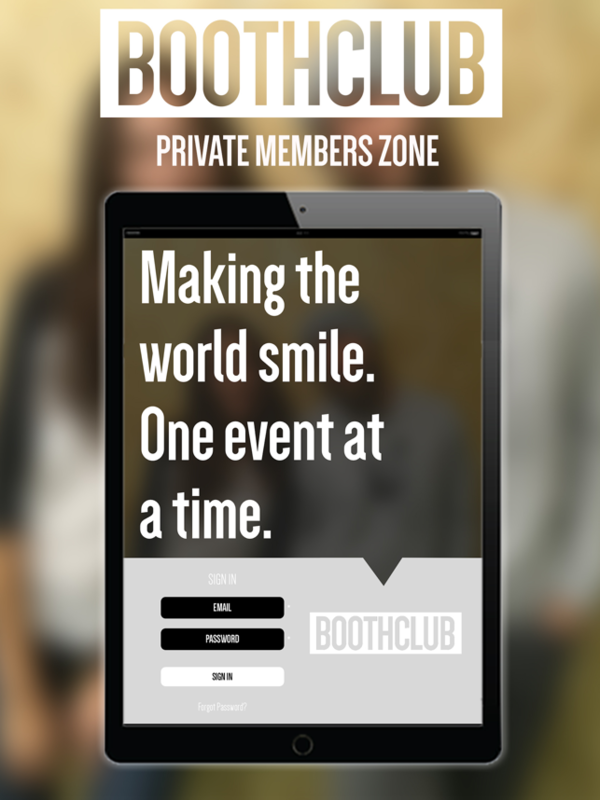 Photos will be uploaded to a private gallery in real time so you can relive every moment from your event. 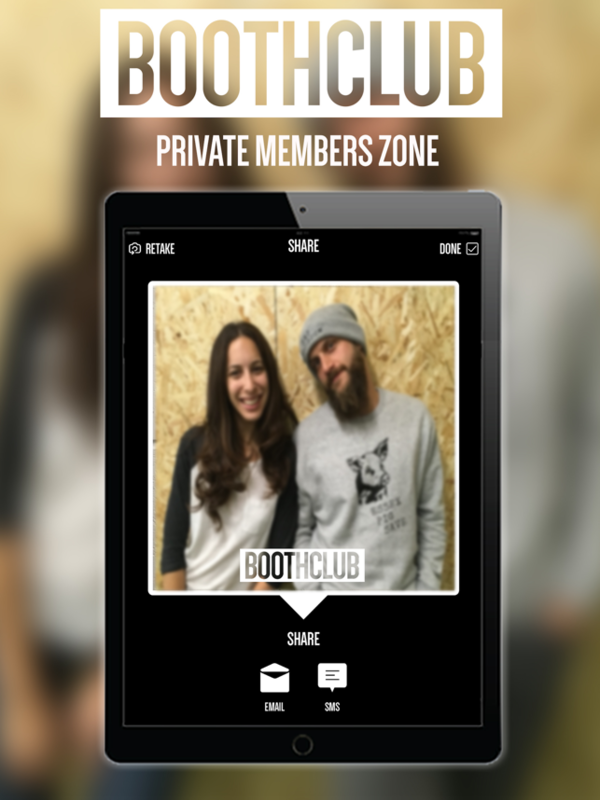 Your gallery can includes the custom logo at the top as well as icons to enable guests to easily share and directly directly from their mobile device. 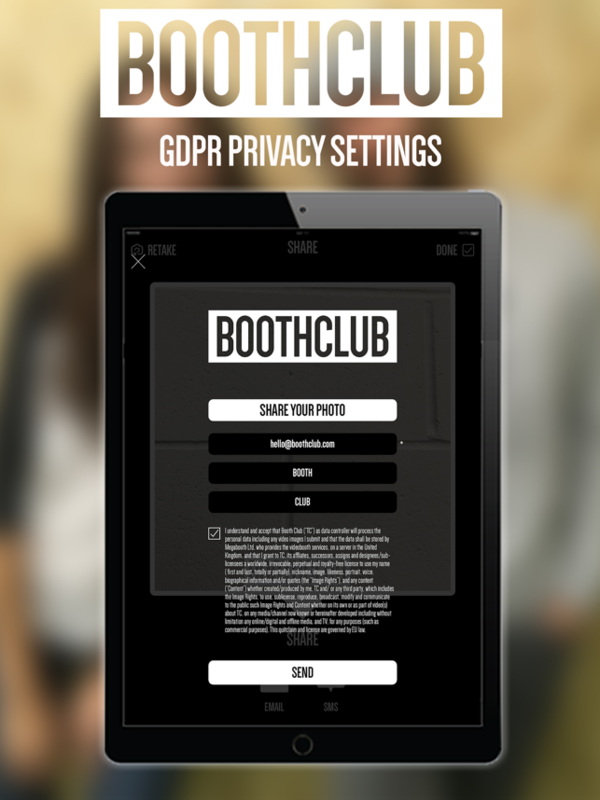 *Setup a custom GDPR disclaimer to display to guests and require them to accept before proceeding with their photo booth session. 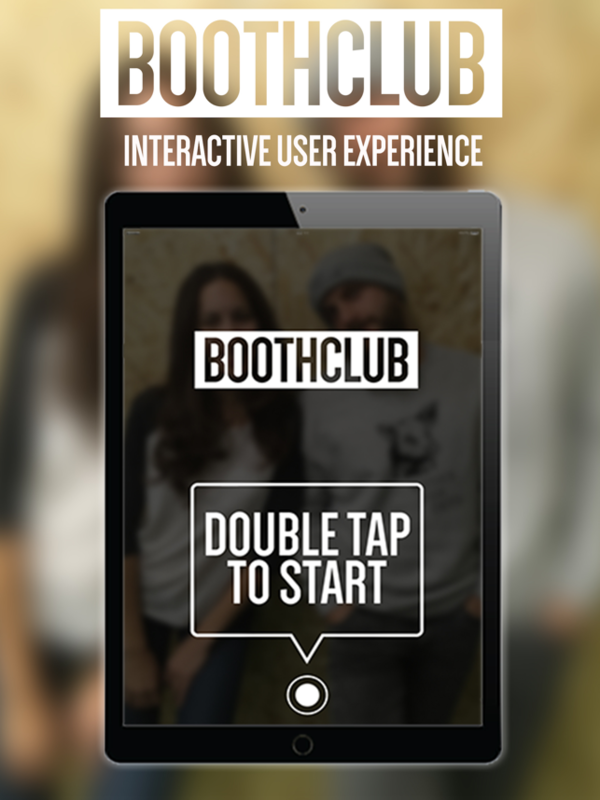 extend your reach on social media. 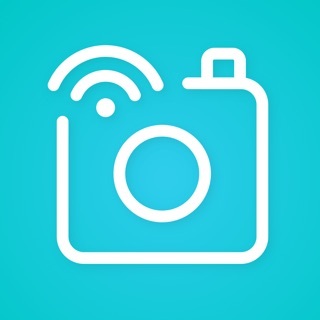 Added a few tweaks to make capturing photos a little easier and smoother.